This year, organizers released the Foodies Fan Journey, kind of like a foodie trail you can tour to give you the ultimate foodie experience. Get the chance to sample foods from all across the First Coast while you're at THE PLAYERS. 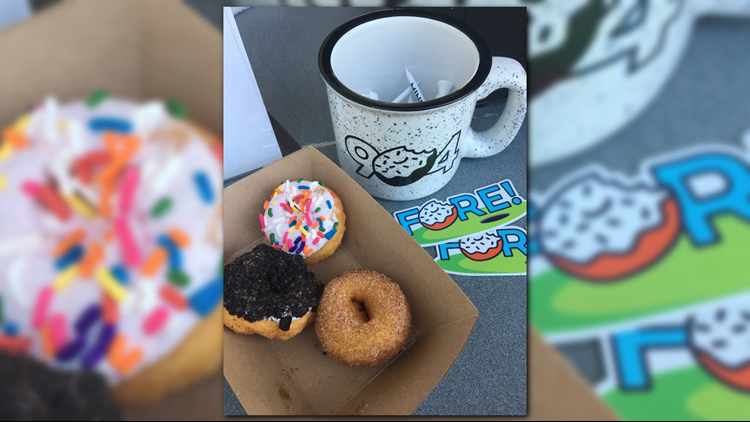 This year, organizers released the Foodies Fan Journey, kind of like a foodie trail that you can tour to give you the ultimate foodie experience. On the trail, there are 11 markers, but nine of them are food-related stops. Each of the nine stops features restaurants on the First Coast. Their menus highlight their signature dishes. 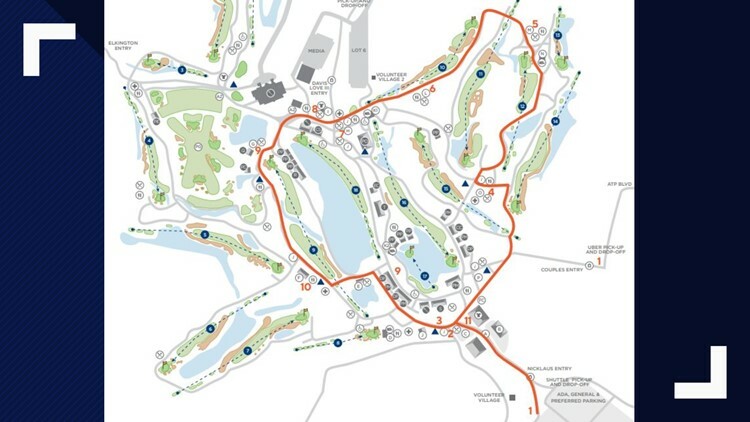 If you're interested in touring the foodie trail, print out the map below and make sure you have comfortable shoes! It's quite the hike! Click here to see a larger/printable version of the map. 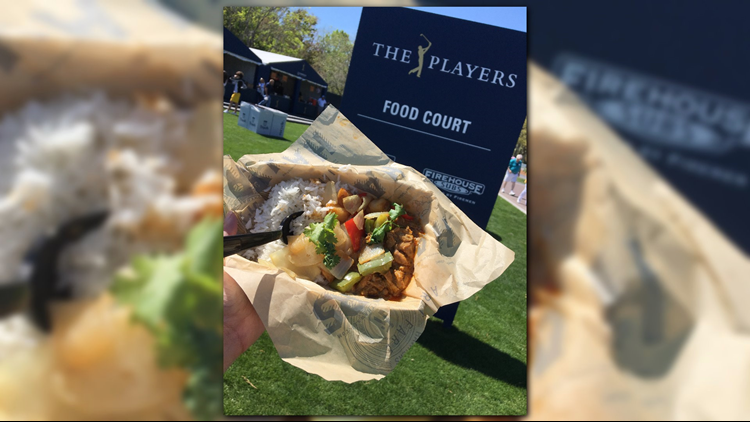 Try the curry chicken at Hawkers, found in the Food Court at THE PLAYERS Welcome Experience. Up next is Daily's Grab-N-Go where you can pick up a limited selection of drinks and snacks found within Daily's gas stations. Keep in mind that it's marked No. 3 on the map. Despite showing that the stop is across from the Food Court, it is located right next to the other restaurant tents. Perhaps one of the best deals this place offers is the $5 bottomless lemonade and tea. Keep in mind, however, that there are no Daily's tents throughout the course, so this deal is only beneficial if you're going to remain near the Welcome Experience. Marked No. 4 on the map, the Taste of Jax highlights local eateries, or so it says. There are four restaurants that are featured, two of which are actually local: Brucci's Pizza and MOJO BBQ. The other two restaurants are found nationwide: Cousins Maine Lobster and Zoe's Kitchen. This year, MOJO BBQ is offering an exclusive smoke turkey wrap. It will only be offered during THE PLAYERS. 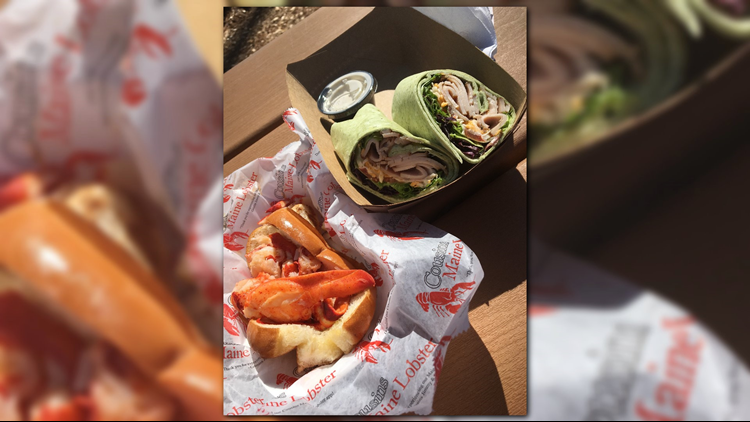 Taste of Jax stop features Cousins Maine Lobster and MOJO BBQ. So many people on the First Coast rave about Taco Lu, which is the next stop on the foodie trail. It is marked No. 5 on the map and offers visitors the chance to try Jacksonville's most beloved and popular Baja Mexicana restaurant. One of the favorite dishes: Bang Bang Shrimp. While there, pick up some free goodies like Taco Lu stickers or golf tees! Start your engines, foodies! It's food truck time at Trucks on 10. Marked No. 6 on the map, Trucks on 10 is similar to a food truck park where you'll find about seven different local food trucks: Delish Kabobs, Mama's Food, Island Girl Seafood, Tikiz Shaved Ice & Ice Cream, Pounders Burgers, Up in Smoke BBQ and Cely's Filipino Food Truck. In the center, you'll also Miller Lite's portable bar complete with seats. Don't forget to bring your charging cord for your phone -- there are charging stations here! 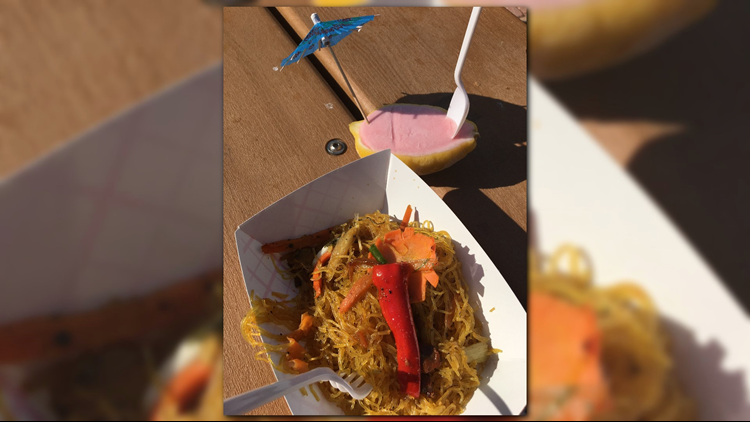 Get some pancit and pomegranate ice cream found at Trucks on 10! For a more peaceful and quiet atmosphere -- yes, even quiet for golf -- you'll find the Patio, which is marked No. 7 on the foodie trail. You'll find dozens of tables and chairs with adorable cacti plants as center pieces, as well as a fountain to complete the aesthetic, giving you a calm vibe while you enjoy your pizza. Voted "The Best Pizza in Jacksonville," V Pizza will offer you some of their traditional favorites, including their margherita pizza, pepperoni pizza and chicken wings! If you're in the mood for something sweet, check out Mini Bar in Sawgrass Square. Marked No. 8 on the list, you'll be able to try a few different flavors offered from their stores, as well as their popular nitrogen coffee on tap. Keep in mind that their donut flavors change every day. If you're interested in knowing the flavor the day you plan to go to THE PLAYERS, check their social media pages. Though Sawgrass Square highlights Mini Bar, you'll also find food from 4 Rivers Smokehouse on other side of the tent. They are serving some of their more popular dishes, including their smoked brisket sandwich, which is savory and flavorful! Mini Bar is found at Sawgrass Square. Every day, they will feature a different flavor donut. If you are a Pub Sub lover, then you need to stop here. Palm Valley Village is not only offering Pub Subs already made, but it's also offering an exclusive Pub Sub made for THE PLAYERS. It consists of chicken and jalapenos... it's quite tasty! Good news for folks who can't go to the Players: You can ask for a PLAYERS sub at any Publix store and they'll make it for you during this limited time! The last stop on the foodies trail is the Wine & Dine at 9, marked No. 10 on the map. This is the place to go if you're in the mood to treat yourself to some fine dining with hors d'oeuvres and gourmet meals. This stop features Restaurant Medure, a four-diamond restaurant that focuses on New American plates. It offers kale salads, but the more popular dishes folks like to order while here include the Slow Smoked Pulled Pork Sandwich and the Pistachio Crusted Salmon. And don't forget to wine while you're there. You'll find a variety of wines from Kendall-Jackson.